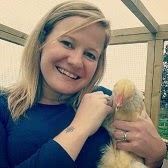 Like most chicken keepers I would undoubtedly prefer a plastic hen house as opposed to a wooden one. They are easier to clean, they don't get red mite, they are lighter to carry, but they cost an absolute fortune! If my hens were at home in my garden I would probably consider the thought of getting one second hand plastic hen house and spending a bit more money, but because they are down at the allotment and I'm not there all the time and because some of the paths running through the allotment site are public footpaths, I wouldn't want to run the risk of someone trying to nick it and scaring the hens. So up until now I've had a wooden one. I got my wooden hen house maybe last April, used protective wood paint etc.. and it started warping before Christmas, not only that despite cleaning it out regularly and thoroughly we got red mite, and if you've got hens then you know once you get them, its really hard to get rid of them. 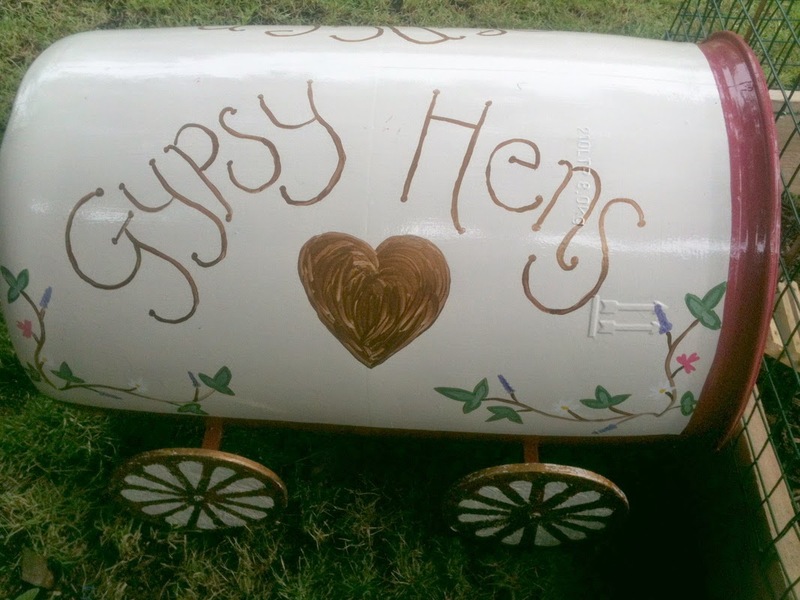 So I was thinking and googling plastic hen house ideas and came across a proper little treat!! Which in turn led me to Darius's you tube channel and a guide on how to make this!! Next, ventilation holes: As you can see I used a cotton bobbin purely because because I thought it would be a good size. In Darius's video, he says put the first hole 10 cm from the middle of the top thingy (now obviously he's a genius, he doesn't use the word thingy! ), but the first hole there and then I've put every ventialtion hole 1 inch apart 4 either side. I've made a little mark on either side of the bobbin so I can line the marks up with the original line. Et Voila!! My ears are still ringing from the jigsaw and I think my neighbours may hate me from the noise! And here is part 1 complete! The tray fits in nicely, though I'm still in two minds whether to keep it in or not, I might just try and curve the sides in slightly to make it fit better. My next jobs are to sand down the jigsawed bits, put some perches in, put a nest box in, re-attach the back and the door, put some wheels on and paint it up!